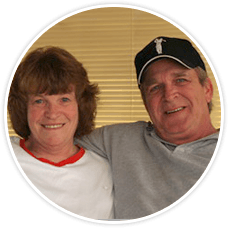 We're Don and Patty Rowe, and we're glad you stopped by! We've been selling inverters at our Internet store since 2001. During that time, we've seen quite a few inverter sellers come and go. From the beginning, DonRowe.com has made excellent customer service our primary objective, and we think that's the reason we're still here, while others have faded away. We give good value, good selection, good advice and great tech support. We are here for our customers both before and after the sale, and we'll still be here years from now. Our Customer Care Policies: We owned a Website design company for many years before we opened our own Internet store, and learned a lot (both good and bad) about e-commerce from our clients. For an Internet business to be successful, the focus must be on you ... the customer. We know you want the same things when you buy online as we do — security and privacy, excellent service, fast delivery of quality products at reasonable prices — and we're committed to delivering that, each and every time. Personal Service: You want to be treated as an individual with a name, not as Order #XYZ. Any questions before the sale, or problems after the sale, should be dealt with quickly. We go out of our way to make sure you are more than happy with each transaction. (click to Contact Us). Quality Products at Competitive Prices: You want quality merchandise, backed by strong warranties from reputable manufacturers. You'll find Cobra, IOTA, KISAE, Magnum Energy, Power Bright, Samlex America, Wagan Tech, Xantrex and other reliable name brands. And we strive to keep our prices as low or lower than you'll find anywhere else. Have a look through our site, and give us a try ... you'll be glad you did!